Surgeons at the Center for Robotic Surgery at Texoma Medical Center were the first in the area to use the da Vinci® Si HD® Surgical System. The hospital also has the da Vinci XI® Surgical System. 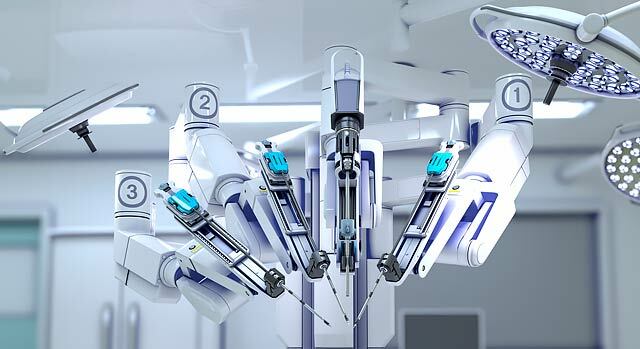 These advanced robotic platforms allow doctors to perform complex procedures using smaller incisions than standard surgery with tiny, precision tools operated robotically. This may result in less pain, scarring, trauma and blood loss than other surgical procedures so that patients can potentially return to work and daily activities more quickly. If you need a referral to a surgeon or other physician at Texoma Medical Center, call our free physician referral service at 1-903-416-3627.